Dena Bank Admit Card 2018: Dena Bank has released the hall ticket for the candidates appearing in PO Exam which is going to be held on 02-06-2018. Participants can download their Dena Bank Admit Card till 02nd June through online mode. Many candidates going to participate in the online examination conducted by Dena Bank for the post of PO this year on 2nd June, may download their Dena Bank PO Admit Card 2018. For this, you need to provide some necessary details like registration no. and date of birth etc. Dena Bank PO Exam Details!!! Download Dena Bank Hall Ticket Here!!! Dena Bank is conducting an online examination followed by a descriptive test to recruit eligible candidates for the post of PO. Candidates will be able to download their Admit card through this page only if they are registered and enrolled for Dena Bank Recruitment 2018. Participants are advised to go through this page of www.privatejobshub.in to get entire details and also correct steps to get their Dena Bank Admit Card 2018-19 for the online PO Examination. Aspirants are firstly required to visit Dena Bank official website that is www.denabank.com or the direct link provided below to get Dena Bank Hall Ticket. Through the home page of the official portal candidates are required to go to the “Recruitment” section. Candidates will be navigated to a new page through which they need to hit the appropriate link regarding “Call letter for the examination for Admission to Post Graduate Diploma in Banking & Finance for Prospective Probationary Officers in the Bank - Link for downloading call letter”. 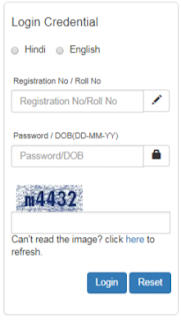 A new page will appear on your screen where you will get a link named “Please click on the link for downloading call- letter”, hit the same and Dena Bank login sheet will appear on your screen as shown below. Candidates are then required to fill some details like registration no. and date of birth for logging in to get their admit card. Candidates will get their Dena Bank hall ticket on their screen after few seconds. Aspirants are advised to download and also take print out of their Dena Bank PO Admit Card for future use. Candidates appearing in PO Examination conducted by Dena Bank must be waiting for their Dena Bank PO admit card. We hope that the above information is enough for the participants. Candidates are advised to visit Dena Bank Official Website in order to fetch more details regarding their hall ticket.